Keeping current can be a never-ending battle. As soon as you work out what LOL means and you come to terms with fluffy kittens all over the Internet, eyebrows are suddenly ‘on fleek’ and Donald Trump is running for President. The world of social media is fast paced and ever-changing, so when it comes to keeping up with trending topics online, it’s important to be current, prepared, and release creative content that is well thought out. The first step is to begin with the key messages your brand is trying to convey; through communications, storytelling, imagery, etc. These are known as key message pillars. Key message pillars are the backbone to your brand story. Creative trending content should only be acted upon if the trending topic can be related back to your business and brand image appropriately (either by default or with one of your key message pillars). If you can creatively find a way to tie it in to your business, then jumping on a “trending hashtag” can be a great way to gain additional exposure organically. But how to you find trending topics? Look down the left hand side of your Twitter feed or up to the right of Facebook newsfeed to see what is making news and trending. Then just simply decide what will work for your brand and what creative resources you have at your disposal. Creativity is key when it comes to keeping on brand and staying relevant and on trend at the same time. The case study of Oreo and the 2013 American Super Bowl is a great example of spontaneity and creativity in content creation and advertising. During a power out at the stadium in the middle of the game, the social media team at Oreo jumped online and posted a simple yet creative image of everyone’s favourite cookie. The caption read: “Power out? No problem. You can still dunk in the dark”. The message gained traction online almost immediately, resulting in over 15,000 retweets and over 20,000 likes on Facebook. There are risks that come with trending topics and relating your business to them. A good rule of thumb is to stay away from any political or cultural issues in the media at the time. There are numerous examples of self-inflicted bad press through creating distasteful content online. Something all of these examples have in common is lack of thought, little if any planning, and no strategy whatsoever. 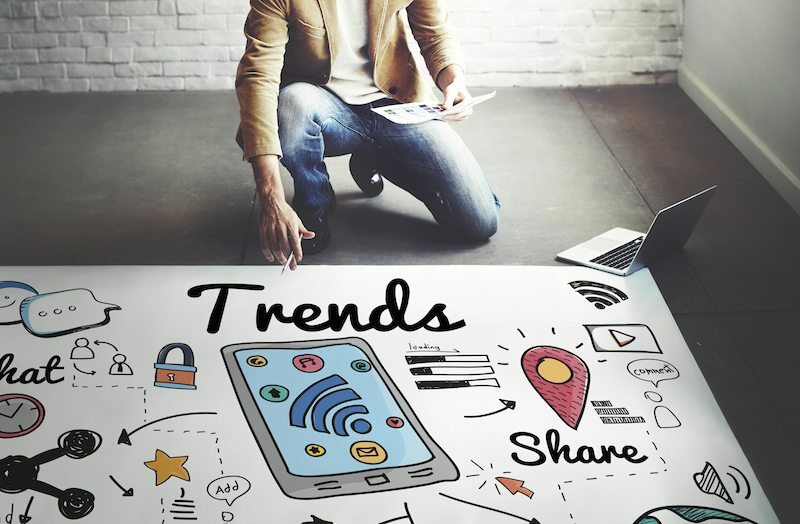 But with thought out strategy, a bit of creativity, and knowing what your brand stands for, jumping on trending topics can be a great way to stay current and resonate with your active audience. To learn more about how you can take advantage of trending topics for your business or begin to use social media like a pro have a read of our recent blog, hashtag hijacks to help your business here.